Our busy, growing, mission-driven consulting engineering firm is looking for a seasoned engineer (8+ years experience) who’s keen to work on exciting energy efficiency projects for a large portfolio of clients in the Northeast. We’re a small firm that offers a relaxed, flexible, open (and dog friendly!) working environment. We offer a competitive salary, excellent benefits, and an employee-friendly workplace. If you’re eager to work alongside our principals and the rest of our team to bring best-in-class energy engineering consulting services to our clients, then please click here for more information and to apply. Our own Jen Chiodo provides insights to emerging trends in energy savings for Staples Business Resource Center. 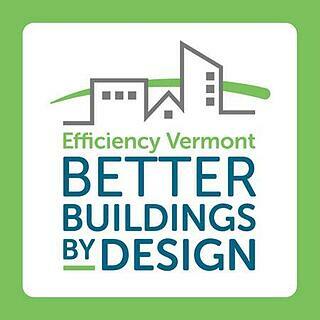 January 30, 2018 — The professional engineers at Cx Associates will present three workshops at the 2018 Better Buildings by Design conference in Burlington, Vermont on February 8. Cx Associates has been building energy resiliency throughout the Northeast with its commissioning, measurement, verification, and energy efficiency consulting services. Cx Associates Senior Engineer earns Vermont P.E. Senior engineer Ben Fowler earned his Professional Engineer (P.E.) license in Vermont. Ben's area of expertise is mechanical engineering, HVAC and Refrigeration. The P.E. is for engineers who have gained a minimum of four years’ post-college work experience in their chosen engineering discipline and passed the examination. The Board of Professional Engineering oversees this profession in the state of Vermont. Read more: Cx Associates Senior Engineer earns Vermont P.E. The Business People Vermont article is a great piece showcasing our long commitment and experience to energy efficiency, commissioning, and “making sure the building works right.” Thanks to Dave Keelty for the praises of our work at University of Vermont Medical Center.